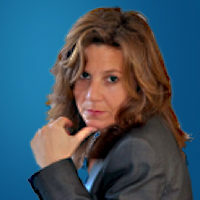 Marisa Guitart, Board Observer Marisa is an international management consultant and project director who has mainly specialized in the life sciences and medical devices sectors for more than 30 years. She has assumed senior management positions at Squibb, Pharmacia, Phadia (now ThermoFisher Scientific) in several functional areas and managed projects involving change management, process reengineering, corporate restructuring, cost improvement and IT systems in many European countries, Brazil and USA. She has consulted for Pharmacia Biotech, Amersham Biosciences, Sweden Diagnostics, Bayer, Amgen, among others. On top of that, she is an entrepreneur and business angel who has invested in several starts up companies.